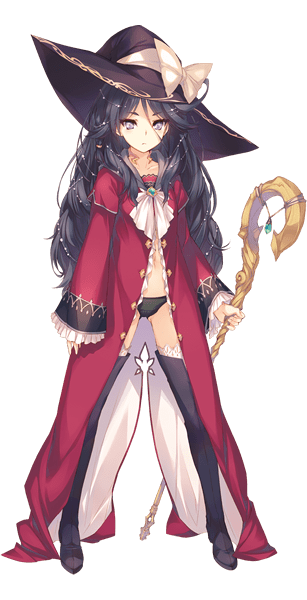 Aquaplus have released the first character bios for the upcoming Dungeon Travelers 2-2: The Maiden who Fell into Darkness & the Book of Beginnings, the semi-sequel to Dungeon Travelers 2 which is set on an alternate bad ending to that game. 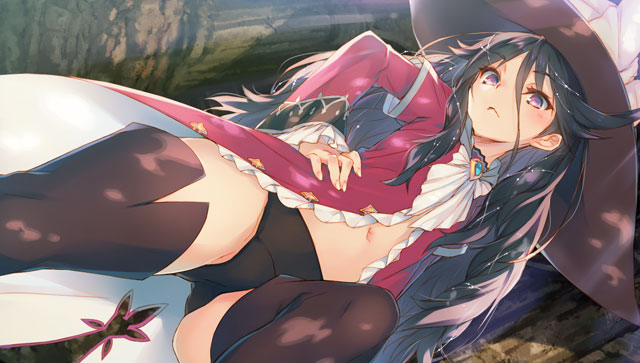 Dungeon Travelers 2-2 is due to release in Japan on 20th April in both standard and limited editions. This was via the newly opened official website for the game. There is no word on a Western release. Here are the info bios. Once a young librarian of the Royal Library. Now, having been defeated by the Demon God, he is a boy who lost all the memories of his past and has fallen to darkness. He’s a bit rowdy and only acts based on personal instinct and his attachment to the remaining monsters. A magician living in the “House of Time,” a clock tower that stands above a remote lake. 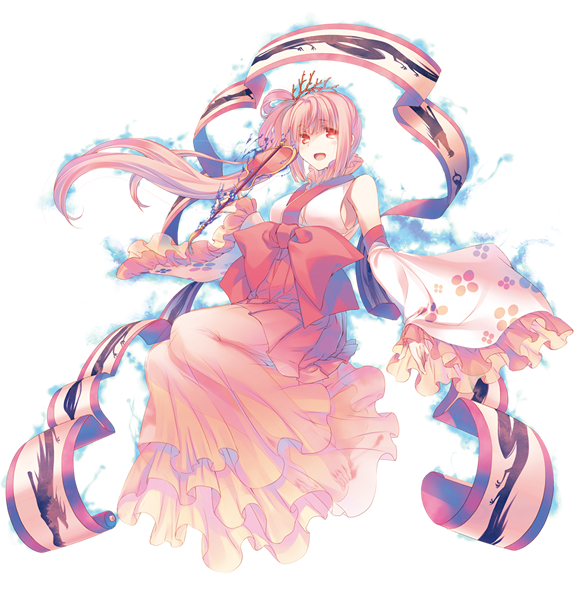 She is a small, but calm girl who always had encyclopedic knowledge and strong memory. In order to restore Romulea, which has fallen at the hands of monsters, she is seeking the library necessary for the Monster Seal, and locates Fried. A well known treasure hunter and former peddler. A girl who loves Therians. 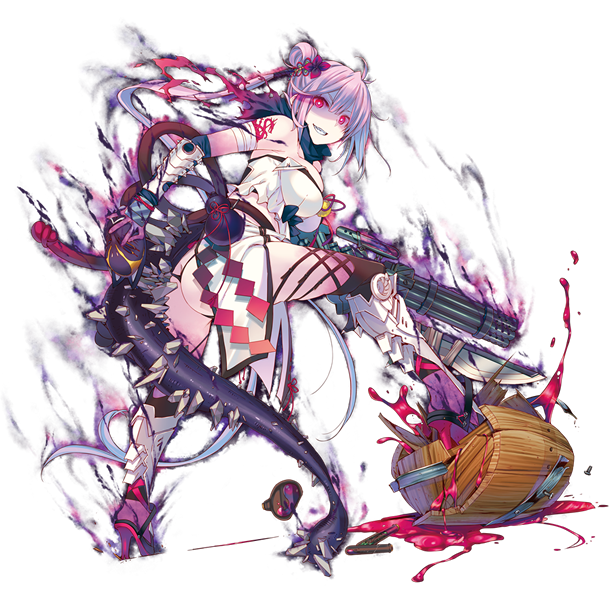 She is an enshrined deity that protects the peace of the Therian village, who changed into an evil god under the influence of the Demon God, but was suppressed a the hands of Fried and company. 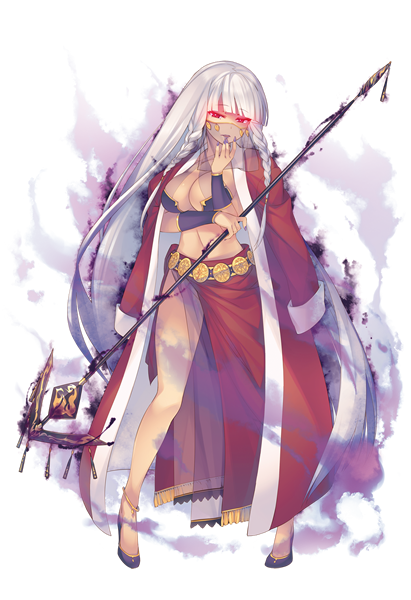 After this, she takes on subjugation of the Demon God along with Fried and company, for both the Therian village and the the peace of the world, but loses the battle and goes missing. A woman of a distinguished family from the Lachann Empire in the eastern lands that values the martial arts. She is broadminded, and loves the hot springs and alcohol. 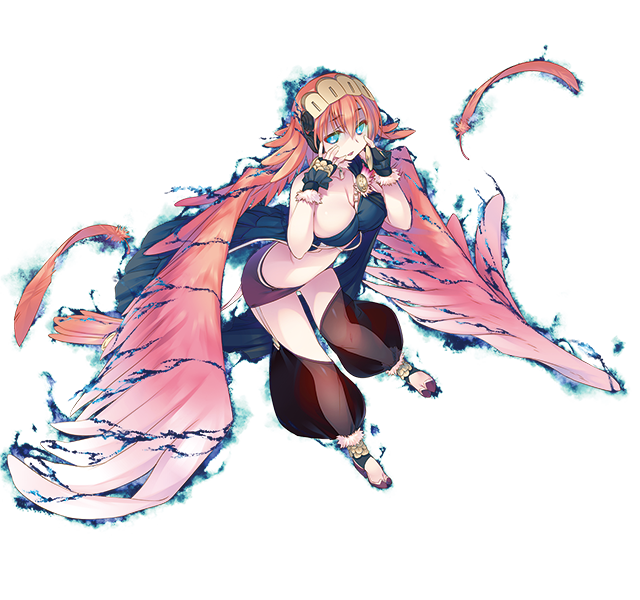 In the wake of the monster damage that also began in Lachann, she joins up with Fried to attain peace throughout the continent, but goes missing after losing the battle to the Demon God. A pure troubadour girl who works at the town pub. 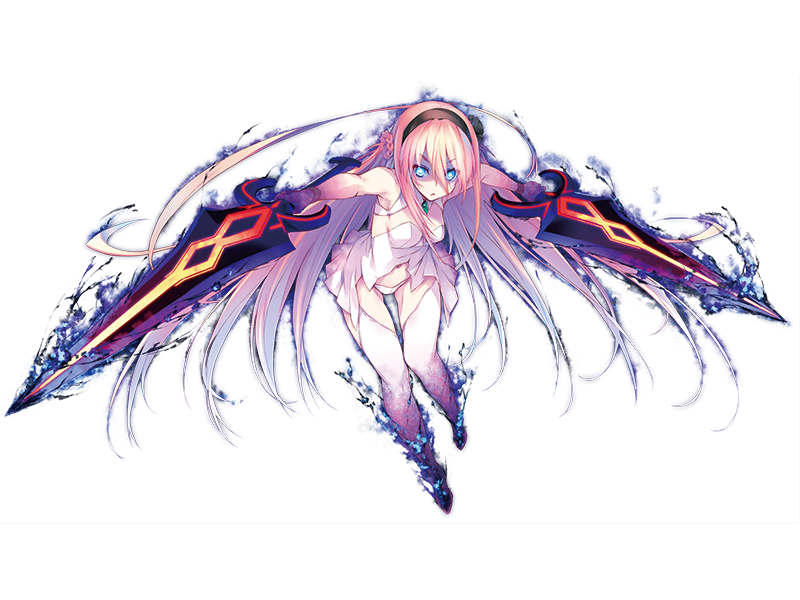 She is close friends with Mefmera—a half-human, half-monster girl—and often played with her in the forest. Fried, who saved Mefmera (who is not looked upon kindly by the townspeople because of her mixed race), invites Yuni to fight in the subjugation party. She goes missing after losing the battle against the Demon God in the depths of the Royal Library. A girl who, with great effort and will-power, graduated from the Royal Military Academy’s knight course. She is friends with Fried and Melvy from her student days and works with them as a member of the Royal Order Guards. She tries to protect everyone at all times with the goal of becoming a first-class knight, but goes missing after she was defeated by the Demon God. A former maid of the Royal Maid Squadron, and one of high-class ability. She has a sweet side and was disappointed when sweets were banned by the head maid, leading to her escape. She’s caught by Fried when she escapes, but is told that she can eat all the sweets she wants from the Royal Library Store if she joins the subjugation party, and volunteers to participate. For the world, for her friends, and for her sweets, she takes on the Demon God with the party, but goes missing when they’re defeated. A devout sister who runs the Marsh Church, which serves as both an orphanage and a church. She goes to the underground cemetery in search of Lizerietta, who disappeared from the home, and is saved by Fried and company when she is captured by monsters. Taking a hard look at reality, Fiora, who felt powerless by only praying to God, decides to enter the subjugation party. 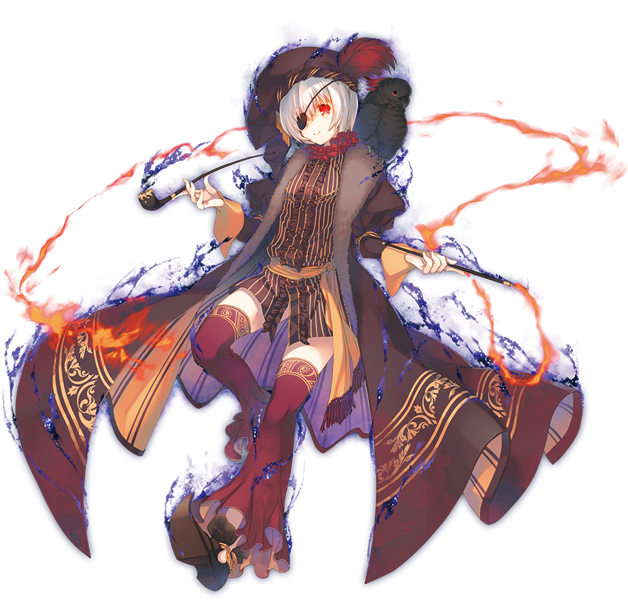 She takes on the Demon God with Fried and company, who have the same beliefs as her, but is defeated and goes missing.